*Hint: It's not just about the money. 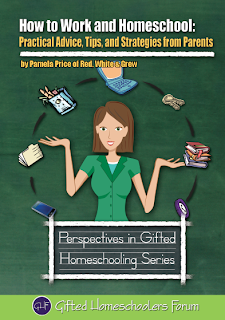 Penelope Trunk wrote a provocative piece on why one need not earn money while homeschooling. I encourage you to read it, especially since I have heartily recommended her blog in the past. She's a compelling writer, that's for sure, even when I disagree with her. 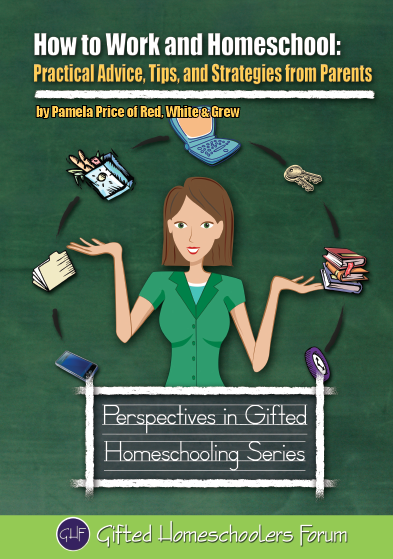 In light of her comments, I've done some reflection on what I've learned in my research into the lives and experiences of working homeschoolers. 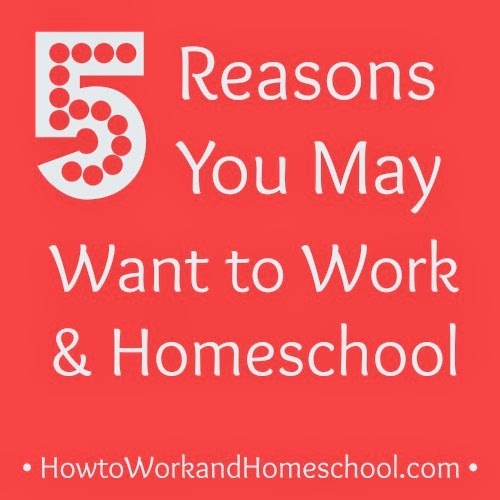 Five of the most common reasons why parents chose to earn money while homeschooling include. Do any of these sound like you and your situation? They need healthcare. If you've listened to the news lately, healthcare is expensive. Full-time working homeschoolers are in the minority, but many of them do work to get or pay for medical insurance. Parents of kids with special needs who require a range of doctors and experts are common in this group. They are single parents. 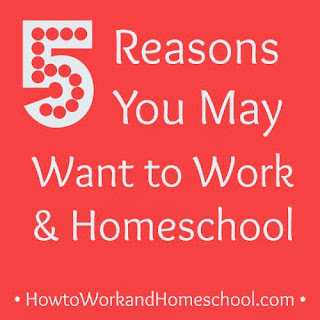 Some of the most passionate homeschoolers I've encountered have been working homeschool parent who believe that their children receive the best education at home, for whatever reasons. Several of these parents I count as personal friends. And, no, they don't all have alimony checks to cover their needs, so they learn to succeed at working while homeschooling. They intend to homeschool only for a little while (or a little while longer). Over the last two years, there's been a trend in my neighborhood for parents to homeschool only for junior high school, to get their kids past the enormous peer pressure common with pre-teens. Other parents, especially those of gifted/"2E" kids may homeschool until a better school option can be found. Still others homeschool while a child works through a grave illness, or, in the case of military families, to round out a semester in which a move has taken place. 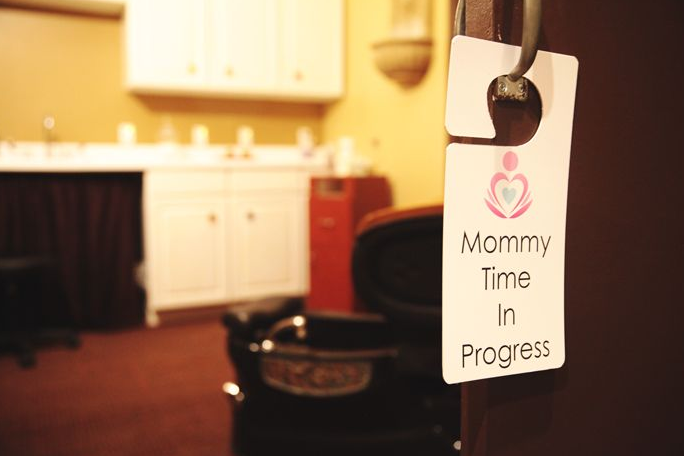 I also have encountered moms of pre-teen and teenage kids who want to ease back into the work world. A part-time job can make that adjustment easier and give the adult something new to think about as the kids become more involved with the larger world. They "fell into" homeschooling and have yet to make substantial adjustments to their lifestyle to accommodate the choice. For those of us with a few years of experience under our belt--and with flush bank accounts, it can be easy to forget the folks who stumble into homeschooling and have to play "catch up" with learning the joys and worthwhile sacrifices inherent to the experience. We fell into homeschooling because of a food allergy. Others come to it because of bullying, poor schools, frustrations over standardized testing, etc. They appreciate the challenge. 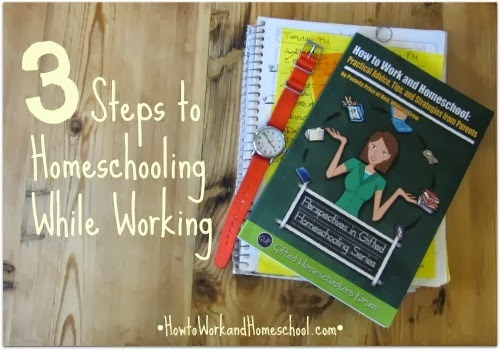 In my experience, most working homeschoolers are part-time employees or own their own business. I am in this demographic myself and find the intellectual pursuit keeps me grounded in the adult world. 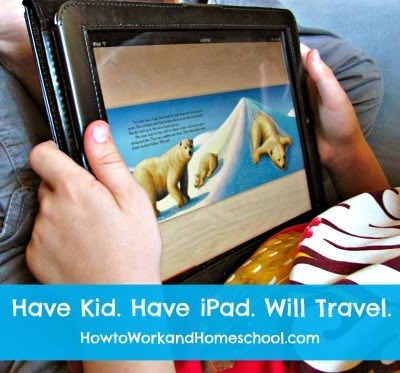 The Take-Away: The reasons for why people work while homeschooling are as diverse as the homeschooling demographic. If you find yourself needing to work and homeschool, then know that others have gone before you and everything turned out fine. Meanwhile, we seasoned working homeschoolers should seek to further showcase those realities. If you're contemplating purchasing a copy of How to Work and Homeschool this month, why not put your hat in for the Goodreads contest that ends on October 31? Together with GHF Press (my publisher), I'm giving away not one but two copies over there. 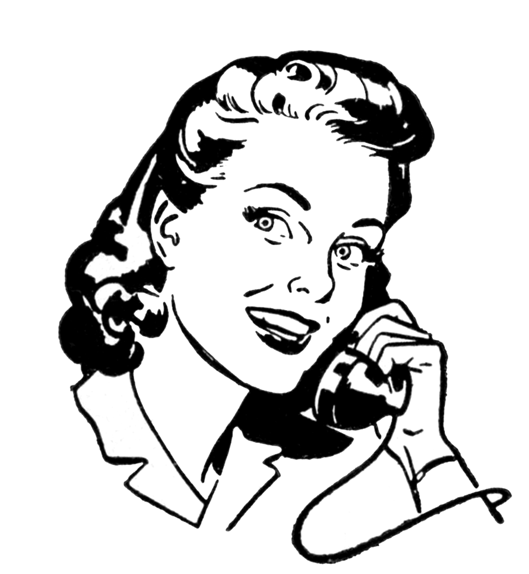 While you're over there, be sure to come say "hi" on my Goodreads author page. Can't wait until the end of the book? Want the book right now? Purchase details are here. Remember: The new How to Work and Homeschool Parents' Discussion Group is up-and-running now along with the regular Facebook page. This week I added a new Amazon store, and don't forget our Pinterest board. Yes, that's my motto as a freelance writer/author and homeschool mom. Have kid. Have iPad. Will travel. Consequently, I'm always looking for portable, quality educational products. Featured below are three stand-out options we've come to rely upon this academic year. This semester, we've seen both versions--the off-the-beaten path Scholastic one (via Netflix) and the knock-your-socks-off CBBC series. Hands down the CBBC version wins our vote for best of show. Quirky, clever, and filled to the brim with all the gross-out humor of the Terry Deary books on which both series are based, the CBBC one is as much fun for me to watch as it is for our son. We watch Horrible Histories via YouTube.com, which means as long as we've got WiFi access for the iPad, we're good to go. We've seen all the seasons now and are awaiting the rumored creation and release of a feature film. We've used the MindSnacks French app before, but this semester we're both enjoying the Spanish version. It's a great way to learn vocabulary and spelling in particular. I assign two rounds of it daily to supplement our foreign language curriculum (which is largely DIY because I have yet to find anything I like). I play MindSnacks, too, and allow my son to watch me complete the more advanced levels. This seems to have encouraged him to keep progressing on his own. 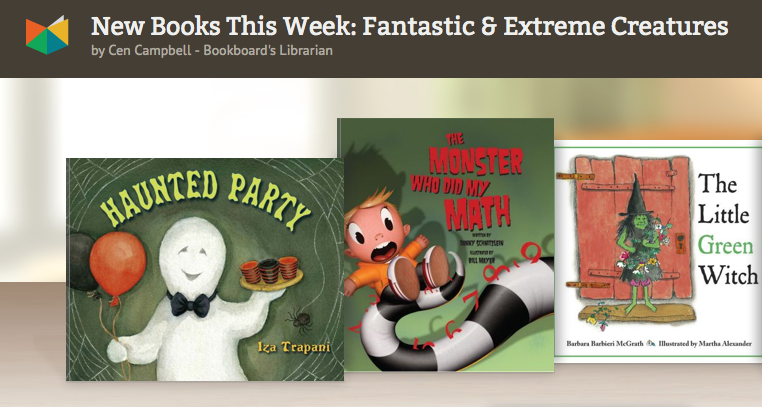 We've been Bookboard subscribers* for a couple of months now, and we both remain very happy with it. In our household, it's a supplement to our own books and library books. Our kid enjoys the "gamification" of unlocking new books, which are tied to his interests and abilities and therefore keep him engaged. For me, the portability (WiFi required) is a real help when I need to work away from home and with him in tow. To try Bookboard for yourself for free, visit their website. I am also a member of Amazon Services LLC Associates Program, which is an affiliate advertising program through which sites earn advertising fees by advertising and linking to Amazon.com. Any views and opinions expressed in this post are completely my own.